If you want to stay fit, you’ve got to do something you love. Unlock your fitness style—the secret to a healthy life. Exercise doesn’t have to be boring and feel like a chore. Really! There are many ways to make it fun. The secret is to find something you enjoy doing. There isn’t just one type of exercise that suits everyone, which means there’s an activity that will be perfect for you. If what you’re currently doing (or not doing) isn’t working for you, try something different. One of my clients hated working out at the gym. She didn’t like the atmosphere and felt uncomfortable in that environment. I suggested we take our workout outside, using a play structure at a park. She loved it! Using a few extra pieces of equipment I brought with me, we were able to work her entire body and have a blast doing it. She loved that it felt like play time and not work. What’s your style? Read the following descriptions and decide which one best suits you. Then, try more activities that fit your style. You like to be in the comfort of your own home. Big crowds and a lot of noise are not for you. You prefer a short, effective workout you can do when it fits your schedule. You are able to motivate yourself and stick to a plan. You are suited to at-home workouts. Invest in a few pieces of equipment, such as a resistance band and some dumbbells and create a small workout space in your home. You need to leave your house to get away from distractions and you seek alone time. You can be around others as long as they aren’t talking to you. You like a challenge and the powerful feeling that comes from lifting weights. You are suited to a solo gym workout. 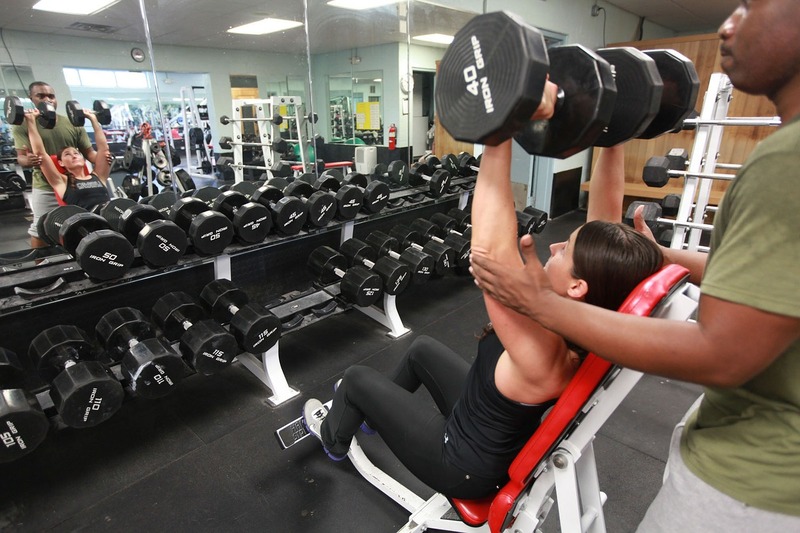 Join a gym that has a good selection of barbells, dumbbells, cable machines and other equipment. You love being around people. You like community and social interactions. You like fun, loud music and not having to plan a workout. You work best when being pushed and challenged by an instructor. You are suited to group fitness. There are many options, such as bootcamp, Zumba, spin, barbell class, barre, pole fitness and cardio kickboxing. You are outdoors every chance you get. Being in nature motivates and rejuvenates you. You like breathing fresh air and being near trees or water. You are suited to outdoor exercise. This could be bodyweight workouts done in a park or activities like swimming, hiking, water skiing, canoeing or rock climbing. You like being part of a team where you work together towards a common goal. You have a competitive spirit and like to win. You have a positive attitude and enjoy encouraging others and being encouraged. You are suited to playing a team sport. Join a local sports league for your favourite sport or join a league where you play a number of sports to see which you like most. No matter which workout style you are, your goal should just be to have fun and keep active. The more you enjoy the activity, the more you’ll want to do it and the more you’ll be moving your body and staying fit. Learn from the best at our OptiMyz Fitness Retreat, April 15 and 16, 2011.